An arbitral award can be set aside if it is contrary to (a) fundamental policy of Indian law, or (b) the interest of India, or (c) justice or morality. (Renusagar Power Co. Ltd. v. General Electric Co. [Renusagar Power Co. Ltd. v. General Electric Co., 1994 Supp (1) SCC 644] ) Patent illegality was added to the above three grounds in ONGC Ltd. v. Saw Pipes Ltd., (2003) 5 SCC 705. Illegality must go to the root of the matter and in case the illegality is of trivial nature it cannot be held that the award is against the public policy. It was further observed in ONGC Ltd. v. Saw Pipes Ltd., (2003) 5 SCC 705 that an award could also be set aside if it is so unfair and unreasonable that it shocks the conscience of the Court. (e) prejudicial to the rights of the parties. The fundamental policy of India was explained in ONGC Ltd. v. Western Geco International Ltd., (2014) 9 SCC 263 as including all such fundamental principles as providing a basis for administration of justice and enforcement of law in this country. It was held inter alia, that a duty is cast on every tribunal or authority exercising powers that affect the rights or obligations of the parties to show a “judicial approach”. It was further held that judicial approach ensures that an authority acts bona fide and deals with the subject in a fair, reasonable and objective manner and its decision is not actuated by any extraneous considerations. It was also held that the requirement of application of mind on the part of the adjudicatory authority is so deeply embedded in our jurisprudence that it can be described as a fundamental policy of Indian law. The Court further observed that the award of the Arbitral Tribunal is open to challenge when the arbitrators fail to draw an inference which ought to be drawn or if they had drawn an inference which on the face of it is untenable resulting in miscarriage of justice. The Court has the power to modify the offending part of the award in case it is severable from the rest, according to the said judgment ONGC Ltd. v. Western Geco International Ltd., (2014) 9 SCC 263. (a) The court under Section 34(2) of the Act, does not act as a court of appeal while applying the ground of “public policy” to an arbitral award and consequently errors of fact cannot be corrected. (b) A possible view by the arbitrator on facts has necessarily to pass muster as the arbitrator is the sole judge of the quantity and quality of the evidence. (c) Insufficiency of evidence cannot be a ground for interference by the court. Re-examination of the facts to find out whether a different decision can be arrived at is impermissible under Section 34(2) of the Act. (d) An award can be set aside only if it shocks the conscience of the court. (e) Illegality must go to the root of the matter and cannot be of a trivial nature for interference by a court. A reasonable construction of the terms of the contract by the arbitrator cannot be interfered with by the court. Error of construction is within the jurisdiction of the arbitrator. Hence, no interference is warranted. (f) If there are two possible interpretations of the terms of the contract, the arbitrator’s interpretation has to be accepted and the court under Section 34 cannot substitute its opinion over the arbitrator’s view. M.P. Power Generation Co. Ltd. v. ANSALDO Energia SPA, (2018) 16 SCC 661. In State of Maharashtra v. ARK Builders (P) Ltd., (2011) 4 SCC 616, while following the Judgment in Union of India v. Tecco Trichy Engineers & Contractors, (2005) 4 SCC 239 held that the expression “….party making that application had received the arbitral award….” cannot be read in isolation and it must be understood that Section 31(5) of the Act requires a signed copy of the award to be delivered to each party. By cumulative reading of Section 34(3) and 31(5) of the Act, it is clear that the limitation period prescribed under Section 34(3) of the Act would commence only from the date of signed copy of the award delivered to the party making the application for setting it aside. Anil Kumar Jinabhai Patel v. Pravinchandra Jinabhai Patel, (2018) 15 SCC 178. “The above section enables a party to institute a suit, prefer an appeal or make an application on the day court reopens where the prescribed period for any suit, appeal or application expires on the day when the court is closed. The crucial words in Section 4 of the Limitation Act are ‘prescribed period’. Section 2 (j) of the Limitation Act defines ‘period of limitation’ which means the period of limitation prescribed for any suit, appeal or application by the Schedule, and ‘prescribed period’ means the period of limitation computed in accordance with the provisions of this Act. Section 2 (j) of the Limitation Act when read in the context of Section 34(3) of the Arbitration Act, becomes amply clear that the prescribed period for making an application for setting aside arbitral award is three months. The period of 30 days mentioned in the proviso that follows sub-section (3) of Section 34 of the Arbitration Act is not the period of limitation and therefore, not ‘prescribed period’ forf the purposes of making the application for setting aside the arbitral award. The period of 30 days beyond three months which the court may extend on sufficient cause being shown under the proviso appended to sub-section (3) of Section 34 of the Arbitration Act being not the period of limitation or, in other words, ‘prescribed period’, section 4 of the Limitation Act is not at all attracted. In Commissioner, M.P. Housing Board v. Mohanlal and Company, AIR 2016 SC 3592, issue of condonation of delay in respect of an application under Section 34 of the Arbitration and Conciliation Act came up for consideration before the Court. After Arbitral Award was given on 11.11.2010, contractor being aggrieved therefrom, instead of filing application/objection under Section 34(1) of the 1996 Act, preferred to file an application under Section 11 of the Act, 1996, in High Court seeking appointment of Arbitrator to adjudicate the dispute. Application was rejected by the Court observing that there is already an arbitral award, hence no further action under Section 11 of Act, 1996 can be allowed. Thereafter contractor filed objection before the Court challenging award on 26.09.2011. He also filed an application under Section 14 requesting to exclude time consumed in the proceedings before High court when he filed application under Section 11 and the same was rejected. That application was allowed by the District Judge taking recourse to Section 141 of the Limitation Act. M.P. Housing Board challenged order of District Judge in Civil Revision Before High Court but failed and that is how matter came to Supreme Court. Relying on Union of India v. Popular Construction company, (2001) 8 SCC 470, Court held that period of limitation under Section 34(3) is mandatory and would bar application of Section 5 of the Limitation Act. Suman Devi v. Addl. Commissioner, 2019 (132) ALR 471. “From a reading of Section 11(6A), the intention of the legislature is quite clear, i.e. 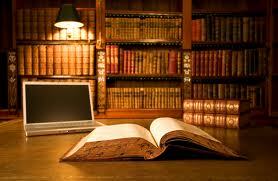 the court should and need only look into one aspect – the existence of an arbitration agreement. What are the factors for deciding as to whether there is an arbitration agreement is the next question. The resolution to that is simple – it needs to be seen if the agreement contains a clause which provides for arbitration pertaining to the disputes which have arisen between the parties to the agreement.” Swatantra Properties (P) Ltd. v. Airplaza Retail Holdings Pvt. Ltd., 2018 (5) AWC 5168. “(1) While dealing with an application for injunction in the course of commercial dealings, and when an unconditional bank guarantee or letter of credit is given or accepted, the beneficiary is entitled to realize such a bank guarantee or a letter of credit in terms thereof irrespective of any pending disputes relating to the terms of the contract. (2) the bank giving such guarantee is bound to honour it as per the terms irrespective of any dispute raised by its customer. (3) The courts should be slow in granting an order of injunction to restrain the realization of a Bank Guarantee or a Letter of Credit. (4) Since a Bank Guarantee or a Letter of Credit is an independent and a separate contract and is absolute in nature, the existence of any dispute between the parties to the contract is not a ground for issuing an order of injunction to restrain enforcement of Bank Guarantees or Letters of Credit. (5) Fraud of an egregious nature which would vitiate the very foundation of such a Bank Guarantee or Letter of Credit and the beneficiary seeks to take advantage of the situation. In Adani Agri Fresh Ltd. v. Mahaboob Sharif and Others, (2016) 14 SCC 517, it was held that bank guarantee is an independent contract between bank and the beneficiary thereof. Bank is always obliged to honour its guarantees as long as it is an unconditional and irrevocable one. The dispute between the beneficiary and the party at whose instance bank has given guarantee is immaterial and of no consequence. In Mahatma Gandhi Sahakra Sakkare Karkhane v. National Heavy Engineering Corporation Ltd., (2007) 6 SCC 470, it was held that if bank guarantee is an unconditional and irrevocable one, it is not open to the bank to raise any objection whatsoever to pay the amounts under the guarantee. The person in whose favour guarantee is furnished by the bank cannot be prevented by way of an injunction in enforcing the guarantee in terms of the agreement entered between the parties has not been fulfilled. M/s Drake & Skull Water Energy India Pvt. Ltd. v. Paschimanchal Vidyut Vitran Nigam Ltd., 2008 (128) ALR 843. Sub-section (1) of Section 85 of the Arbitration and Conciliation Act, 1996 repealed three enactments including the Arbitration Act, 1940. Sub-section (2) stipulates, inter alia, that notwithstanding such repeal, the repealed enactment, namely, the 1940 Act would continue to apply in relation to arbitral proceedings which had commenced before the 1996 Act came into force unless the parties were to agree otherwise. The second limb of first clause of said sub-section (2) further stipulates that notwithstanding such repeal, the provisions of the 1996 Act would apply in relation to arbitral proceedings which commenced on or after the 1996 Act came into force. As is clear from MMTC Ltd. v. Sterlite Industries (India) Ltd., (1996) 6 SCC 716, what is material for the purposes of the applicability of the 1996 Act is the agreement between the parties to refer the disputes to arbitration. If there be such an arbitration agreement which satisfies the requirements of Section 7 of the 1996 Act, and if no arbitral proceeding had commenced before the 1996 Act came into force, the matter would be completely governed by the provisions of the 1996 Act. Any reference to 1940 Act in the arbitration agreement would be of no consequence and the matter would be referred to arbitration only in terms of the 1996 Act consistent with the basic intent of the parties as discernible from the arbitration agreement to refer the disputes to arbitration. In situations where the relevant clause made reference to the applicability of “the provisions of the Indian Arbitration Act and Rules made thereunder” as was the case in MMTC Ltd. v. Sterlite Industries (India) Ltd., (1996) 6 SCC 716, on the strength of Section 85(2)(a) the governing provisions in respect of arbitral proceedings which had not commenced before 1996 Act had come into force would be those of the 1996 Act alone. On the same reasoning even if an arbitration agreement entered into after the 1996 Act had come into force were to make a reference to the applicable provisions of those under Indian Arbitration Act or the 1940 Act, such stipulation would be of no consequence and the matter must be governed under the provisions of the 1996 Act. An incorrect reference or recital regarding applicability of the 1940 Act would not render the entire arbitration agreement invalid. Such stipulation will have to be read in the light of Section 85 of the 1996 Act and the principles governing such relationship have to be under and in tune with the 1996 Act. Purushottam v. Anil, (2018) 8 SCC 95. In Irrigation Department v. G.C. Roy, (1992) 1 SCC 508, the Hon’ble Apex Court thoroughly considered the question of power of the arbitrator to award interest pendente lite and held that when the agreement between the parties does not prohibit grant of interest and where the party claims interest and that dispute has been referred to an arbitrator does have the power to award interest pendente lite. Subsequently in Port of Calcutta v. Engineers-De-Space-Age, (1996) 1 SCC 516 and Madnani Construction Corporation (P) Ltd. v. Union of India, (2010) 1 SCC 549 held that according to the view taken in Irrigation Department v. G.C.Roy, (1992) 1 SCC 508, the arbitrator does have the power to award interest pendente lite. The Court observed that it essentially depends upon the ouster in each clause, which means that unless there is an express bar that provides that the arbitrator cannot award interest pendente lite, the grant of interest pendente lite will predominantly be based on the arbitrator’s discretion to award the same. Further, the Hon’ble Apex Court considered an identical clause in the contract in Ambica Construction v. Union of India, (2017) 14 SCC 323, wherein it observed that the clause of GCC did not bar the arbitrator from awarding interest pendente lite and affirmed the award passed by the arbitrator. The three Judge Bench of the Court held that the contention raised by the Union of India based on the clause of GCC that the arbitrator could not award interest pendente lite was not a valid contention and the arbitrator was completely justified in granting interest pendente lite. Relying on the three Judge Bench judgment in Union of India v. Ambica Contsruction, (2016) 6 SCC 36 and Irrigation Department v. G.C.Roy, (1992) 1 SCC 508, the Court held that the bar to award interest on the amounts payable under the contract would not be sufficient to deny the payment of interest pendente lite. Raveechee and Company v. Union of India, (2018) 7 SCC 664.